Series Overview - MC1sc | O.F. Mossberg & Sons, Inc. 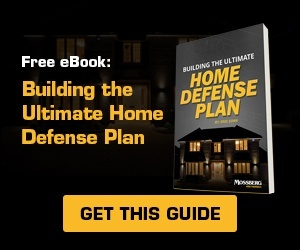 Safe Takedown System ensures no trigger pull required during disassembly. Mossberg signature multi-angle slide serrations for positive slide manipulation. Standard snag-free dovetail white three-dot sights for easier target acquisition, windage adjustment, and after-market customization. Stainless steel slide with upgraded Diamond-Like Carbon Coating. 3.4″ barrel with upgraded Diamond-Like Carbon Coating. Extended trigger guard for easy access. Mossberg flat-profile trigger with integrated blade safety. Aggressive signature Mossberg grip texturing. Palm swell and grip angle provide superior ergonomics. Glass-reinforced polymer frame for enhanced durability. Mossberg Clear-Count™ polymer 6-round flush-fit and 7-round extended magazines offer low friction and high wear-resistance. Natural and comfortable in your hand thanks to the grip palm swell. Grip panels are integrated with aggressive texturing for added control for a confident, firm grip under a variety of conditions. The MC1sc trigger (approx. 6 lbs pull) has an integrated blade safety, a short, tactile reset, and reduced overtravel. It features a crisp, clean break and smooth take-up, which means less hand movement for a truer, more accurate shot. Standard snag-free dovetail white three-dot sights (Sig #8 compatible) offer easier target acquisition and quicker draw. TRUGLO® Tritium PRO™ sights are also available as a factory option. A tiny laser sight tucks neatly between the trigger guard and muzzle, with no overhang. You can turn your laser on with a push of a button when you draw the weapon. 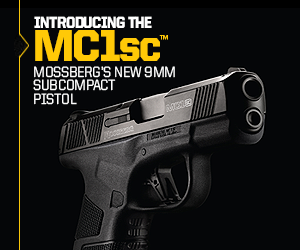 Each MC1sc ships with a flush-fit 6-round and an extended 7-round magazine. Clear-Count magazines feature easy-to-remove floor plates, and high-visibility followers made out of a lubricious polymer compound. All models have a reversible magazine release. The MC1sc is equipped with our Safe Takedown System. It requires the user to make the handgun safe by removing the striker assembly before removing the slide. The user is not required to pull the trigger in order to disassemble the handgun for cleaning and maintenance. 1. Remove the magazine and lock open and clear the action. Push the slide cover plate button* and slide it down. 2. Once the slide cover plate is removed, the orange end of the striker assembly will be visible. 3. Close the action by pulling the slide fully rearward and releasing it gently. This will allow the slide to push out the striker assembly. 4. The striker assembly is safely removed from the pistol without ever pulling the trigger. The slide is then pushed forward towards the muzzle, and removed off of the frame. 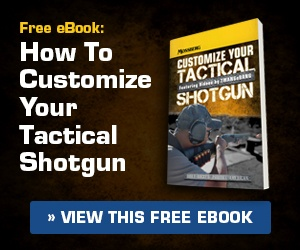 *NOTE: The patent-pending slide cover plate design is used under license from Strike Industries.